A large number of fiber filaments are gathered into a bundle of fibers having a diameter of dB, and the basic characteristics of the bundle are the same as those of a single fiber core. 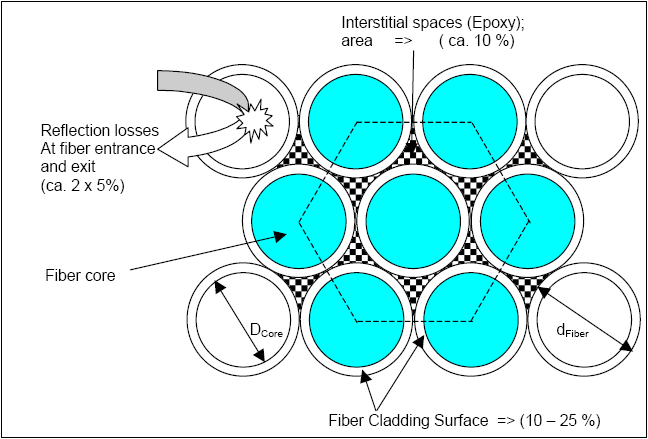 The light transmission characteristics of the Fiber Optic Bundles are similar to those of a single fiber. Tilting the bundle of fibers relative to their axis affects the output light characteristics. An optical fiber with an outer ring of the beam end face converts the uneven input light into a uniform output light. This is possible because the direction of the twisted fiber is close to the direction of the coupling light at the input. After the light enters the fiber bundle entrance and is refracted, the light coupled to the fiber propagates in the same direction along the fiber axis. Because the light propagating in the twisted fiber at the input end has the maximum intensity at the 0° angle, that is, the fiber axis, and the output end fiber is parallel to the axis of the fiber bundle, the minimum light intensity appearing at the position of the fiber bundle axis (Fig. 1 ) will be compensated. The geometry of the fiber bundle input and output can be designed to meet the lighting needs. It can be square, rectangular, straight or with multiple branches of different shapes or sizes. In this way, the fiber optic component can pass light from one end to the other. In principle, the loss mechanism of all of the above individual fibers is applicable to the fiber bundle. The fibers are tightly clamped and cured together with epoxy. This results in two additional losses, which are only related to the bundle: gap loss and cladding loss. 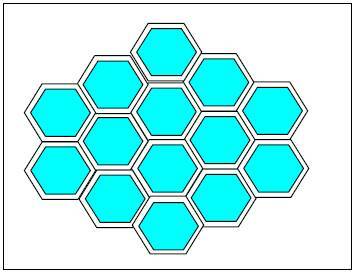 The end of the fiber can be specially treated by heating, so that the fiber is hexagonal and arranged more closely. This reduces the gap loss and increases light transmission by 10%.